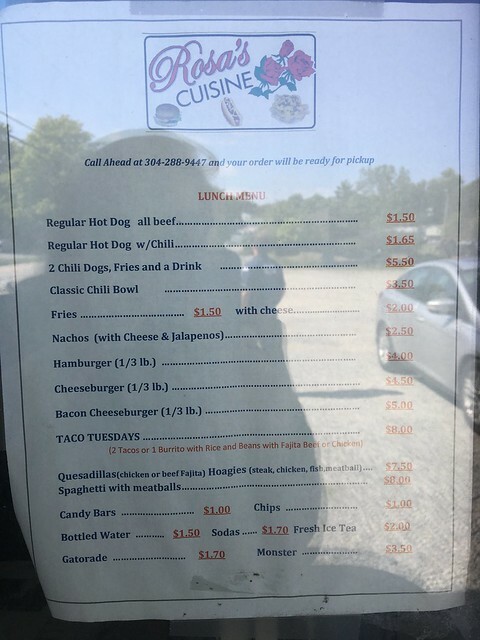 So, a small restaurant has opened up roadside in Cheat Lake. 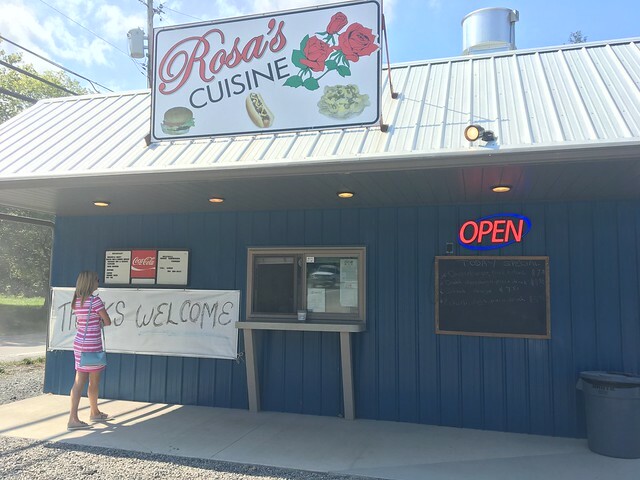 Rosa's Cuisine is located in a small blue building with a giant parking lot perfect for truckers to swoop in. 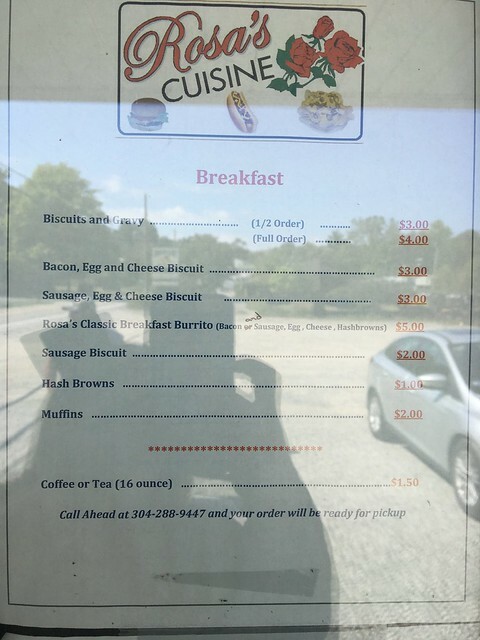 The restaurant, located along Fairchance Road, serves hot dogs, chili, fries, burgers, tacos, quesadillas, spaghetti, biscuits & gravy, breakfast biscuits and burritos from a small window. Much of this is general fare, but I noticed a sort of Mexican theme, so I wanted to try something from that genre. I found out tacos are only on Tuesdays, but Rosa, I assume, was so kind as to make me a quesadilla. 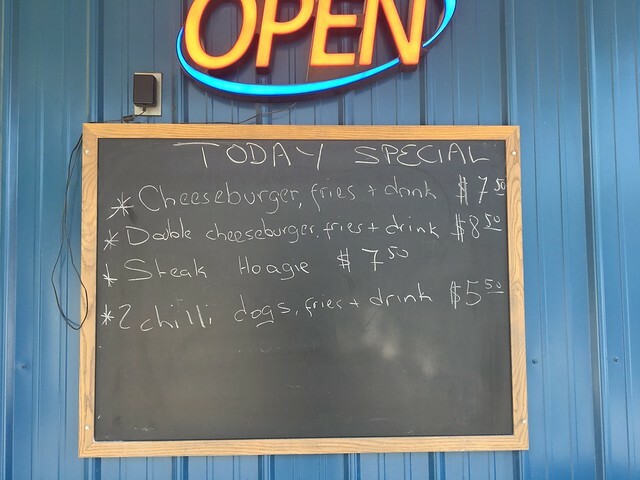 They do accept credit cards, so we paid and waited for our meal over in the sheltered area. 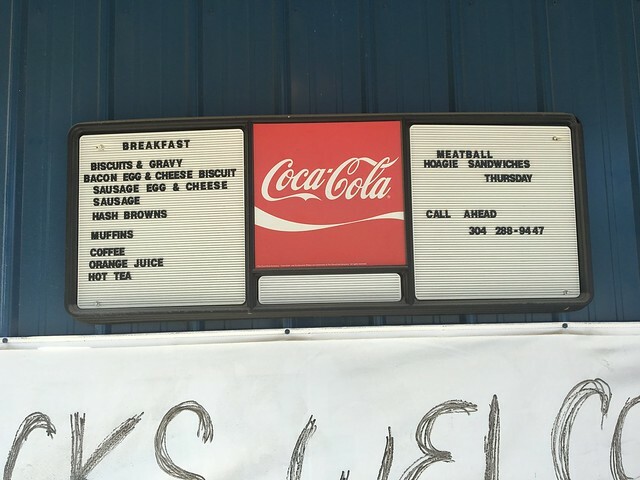 Many of the customers were truckers or workers who would eat in their car or get it to go. Eating outdoors was a bit warm this time of year, but we made do. And, we were beckoned when our order was ready. 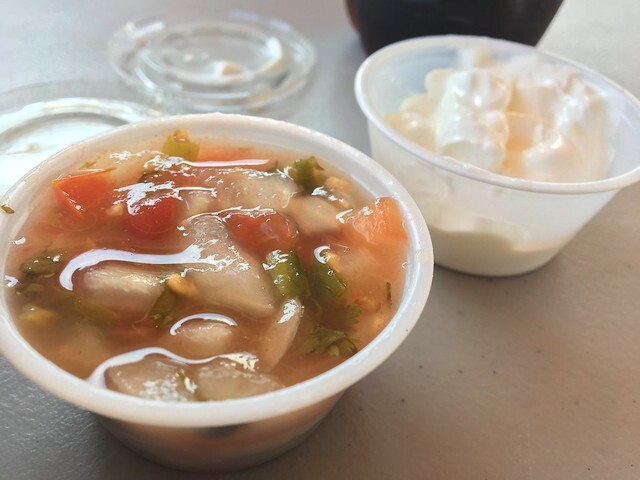 The woman asked if I'd like sour cream or pico, and I said both please. So I waited back a few minutes before taking my delicious bounty over to the table to devour it. 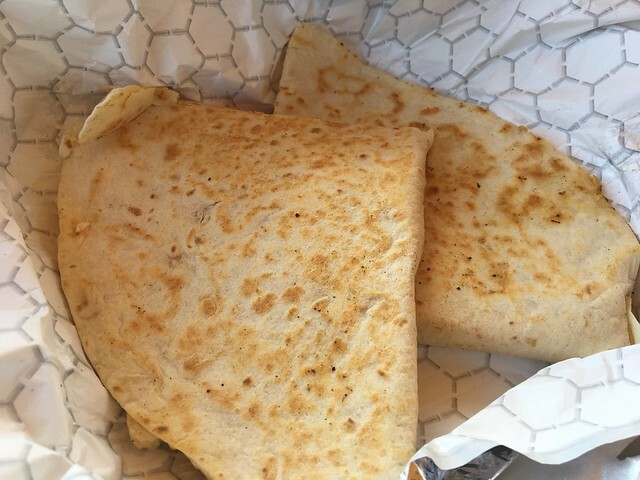 The quesadilla is large and cut in half. Tons of cheddar cheese encased hunks of chicken - which is tasty. I don't think the chicken is the highest of quality, but it was fine. Lots of cheese can help with many things. The sour cream and pico paired with the quesadilla made for an overall decent meal. 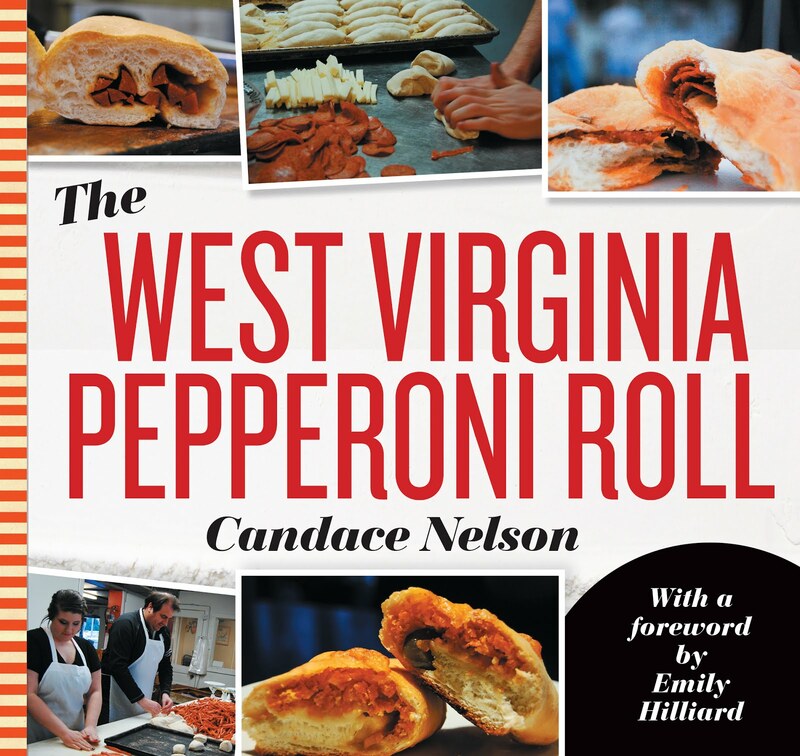 This is probably a good option for folks on the go, and I'm not sure that I would specifically go seek it out with so many great options in the area. But I do think it fills a void for a particular audience.